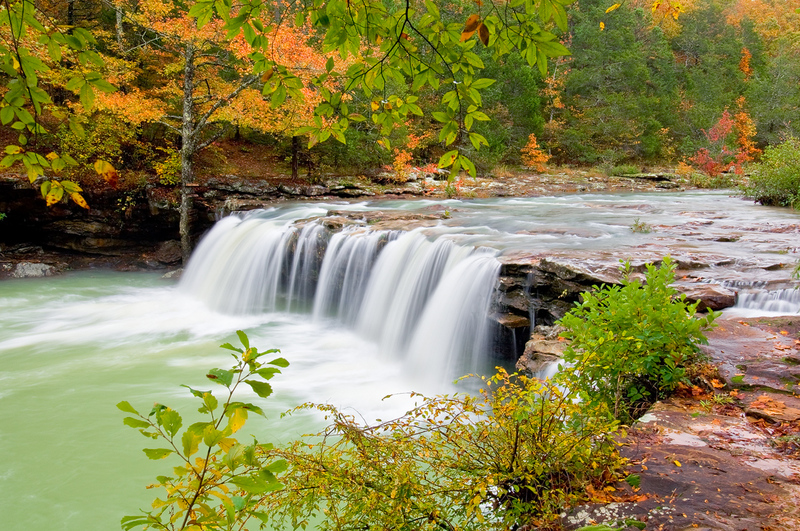 Rare autumn high flow over this scenic waterfall on Falling Water Creek. Arkansas Nature Photography. Photo © copyright by William Dark.